This week: Campbell’s Jump for the Cure. Each Friday Horse Nation teams up with Ovation Riding to spotlight an individual or organization that is doing good work in the horse world. This week we salute Campbell’s Jump for a Cure. 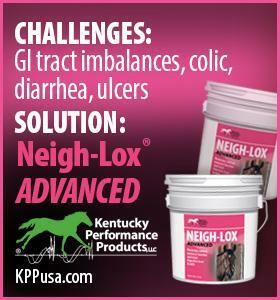 It’s awesome to see the equestrian community rallying around the cause of breast cancer awareness and research. Horse Nation has featured several of fundraising events: the Oxford Feed & Lumber’s Pink 50 Poker Prance (Elkton, Maryland); Tough Enough to Wear Pink (Hughson, California); and Horse Racing for the Cure (Collinsville, Illinois) to name a few. We recently learned about Campbell’s Jump for a Cure, held Oct. 17-19 in Brandon, Manitoba. The show’s organizers kindly took a few moments to tell us about the inaugural event, which was by all accounts a huge success. $5,000 was the goal. 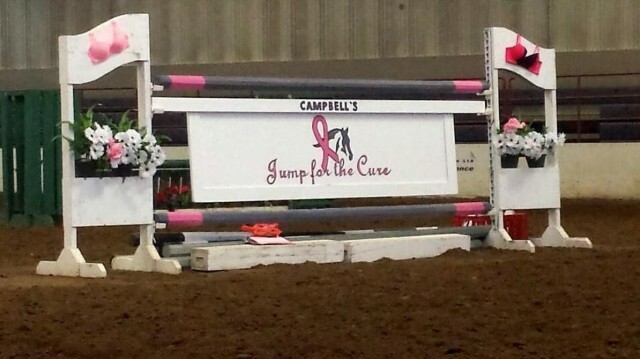 Sisters, Bonnie and Kelly Campbell wanted to incorporate their love of horse shows with a cause close to their hearts, so they held the inaugural Campbell’s Jump for the Cure, a hunter/jumper show and breast cancer fundraiser. The result was overwhelming. The duo started their own company, Campbell Horse Shows, in July with Beat the Heat Schooling Show designed for grassroots riders and green horses. The response to this show was so positive Bonnie and Kelly decided to host more shows in the fall. They decided to make this show a breast cancer fundraiser as they had lost their Aunt to breast cancer in June and this was their way of helping to find a cure. They had 113 entries and each entry had to fundraise to be eligible to enter. The response was overwhelming for the girls. With the help of the competitors, supporters, raffles and draws (a trip for two to Las Vegas was given out) the event surpassed its goal and $10,000 was raised! It was an emotional Sunday afternoon when the total was announced as everyone was so proud of what the horse community did for this great cause. There were many breast cancer survivors and families at the show that have been affected by breast cancer and the Campbell duo received many compliments on the event and the amount of fundraising that was done. Top fundraising prizes were given out: 17 years and under, Paige Helget, Ontario; 19 years and over, Sue Karashowsky, Brandon; trainer, Cassie Bolingbroke, Saskatchewan; and barn, The Dell Farm, Ontario. 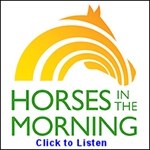 Laura Glover and Ivy Tufts cut their hair and generously donated it in honor of the horse show. The show catered to all levels of riding, from groundrail in the hunters right up to 4’3” jumpers. It was a great venue for novice riders to get to see and interact with the experienced riders like Eric Martin who brought his open jumper to get ready for a big show in Calgary he was travelling to just two days after Jump for the Cure. Visit www.campbellhorseshows.com or find Campbell Horse Shows on Facebook for more information and upcoming show dates, the next of which is Deck the Stalls Nov. 21-23 at the Keystone Center in Brandon, Manitoba.